Kids got an Easter sugar rush to burn? 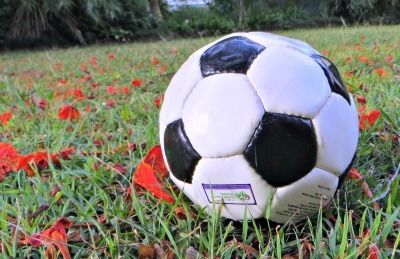 Do you have a child who just loves soccer? Do they have extra energy to burn? After all of the Easter festivities are over why not continue the treats by enrolling them in the Ginger Sport Easter holiday soccer program? Following on from their hugely popular summer soccer sessions earlier this year, Ginger Sport are once again offering a fun, energetic soccer training program just for the school holidays. Sessions are delivered by qualified soccer coaches who not only highlight soccer skills, but who also encourage participation in a safe and supportive environment. 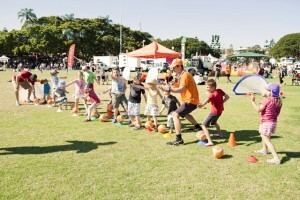 Participants will be able to develop their gross motor and co-ordination skills through a range of exciting physical activities and specialised soccer skills. Easter school holiday sessions for 2013 are being offered to south-east Queensland youngsters from Tuesday April 2nd to Thursday April 11th. Boys and girls aged between five and ten years of age are eligible to attend. Various locations across Brisbane, Redlands, Moreton, Ipswich, the Sunshine and Gold Coasts will have sessions set up, running each afternoon from 3-5pm. Participants can choose how many sessions they attend. The more sessions attended, the better the value. Each child who participates will receive two hours of fun soccer coaching, a certificate of achievement and reward stickers. If more sessions are attended participants will receive a free sports drink bottle, bag, soccer shirt and shorts as an added bonus. Costs start at $25 for one afternoon. Sibling discounts of 10% are available. 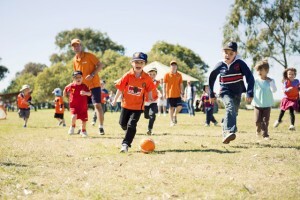 Further information about the Ginger Sport Easter holiday program can be found on their website. Bookings can be made online or by phoning Ginger Sport on 3890 3338.